This is a pdf download of the 46-page plan book that has revolutionized the world of home cider production. 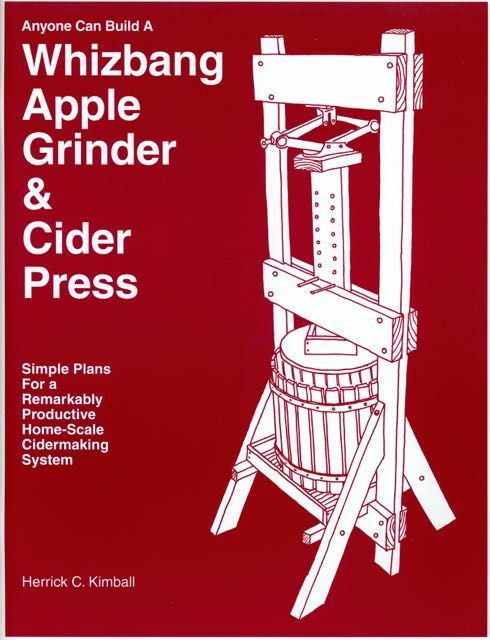 Anyone Can Build a Whizbang Apple Grinder & Cider Press tells how to build your own remarkably efficient home-scale cider production system. For complete details (with lots of pictures) about Whizbang cidermaking, check out the web site for this book at Whizbang Cider Web Site.